this card rocks Tina! I totally forgot about the DSP and the stars with the sentiment are great! The color combo wasn't me either, but you did a great job! 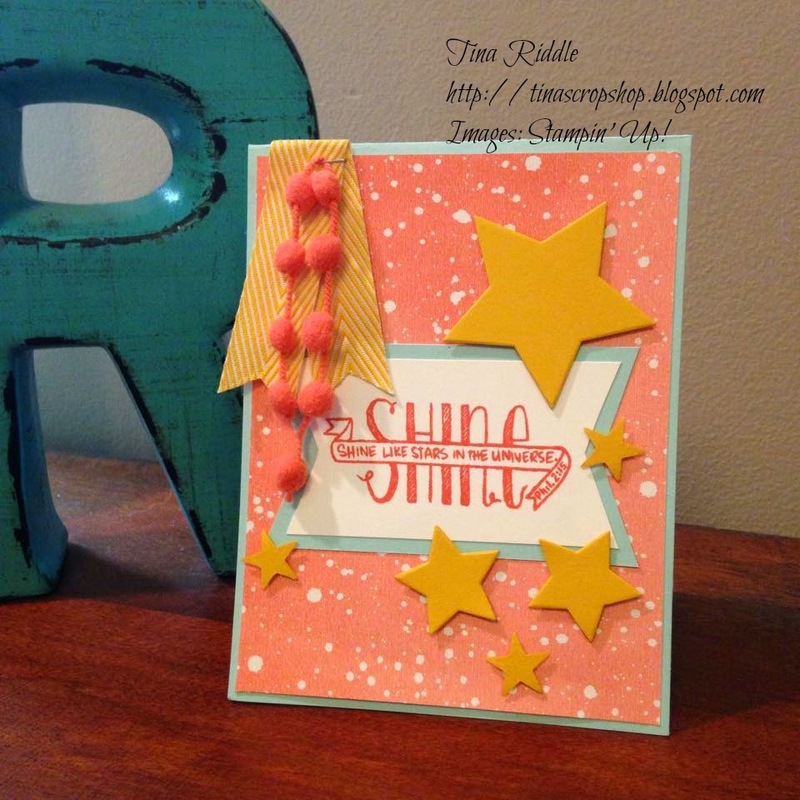 Darling, darling, darling :) Thanks for playing with the TGIFC Challenge and I hope you'll keep stamping with us! Great idea to also use the stars! This is a very happy card in every way! Thanks for joining us at TGIF! You totally rocked this challenge! I am glad you gave the colors a try & adding the stars was just perfection! Hope you will play along with us again very soon! Oh I just love your use of the stars... to be honest, I generally don't like large hearts or large stars... I super love the mini versions of those shapes. But this card just looks PERFECT! Great to see you playing along with TGIF! So so cute. I love stars and I love this! Thanks for playing along with us at TGIF! So glad you played along! You totally rocked it :-) I'm a sucker for stars...thanks for thinking to incorporate them. Seriously awesome card! Don't forget to grab our Honorable Mention Blog Button!